As we have noted, Covered California is the Golden State’s wholly owned subsidiary of Obamacare and similarly dysfunctional, insecure, and wasteful. Even so, some people managed to sign up, the largest group ages 55 to 64. Now, according to Emily Bazar of the Center for Health Reporting, many are finding it impossible to leave. Enrollees secured the tax credits available under Covered California, but when they turn 65 and go on Medicare they become ineligible for those same tax credits. As Bazar explains, “you will owe money to the government if you keep getting the credits after Medicare begins.” That could be $1,000 a month. 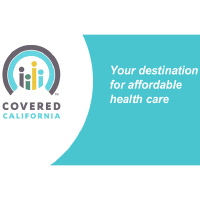 Bazar learned that Covered California controls eligibility and cancellation of its health plans, “which means plans must wait for direction from the agency before terminating coverage.” They have not done so, likely because that would lower the numbers of people Covered California can claim are enrolled. People can simply stop paying their premiums, but they still face a “grace period” of 90 days, and that method of cancellation reflects badly on the individuals themselves. Covered California blames a “programming problem” with the agency’s troubled $454 million computer system. So it’s all just another glitch. Those wishing to cancel should contact Covered California. “How helpful,” says Bazar, “That’s exactly what these consumers tried to do.” So here’s the deal. Those consumers couldn’t keep the plans they like before Obamacare. Now they have to keep the Covered California plan they don’t like and need to cancel. A statist scheme stripped individuals of their freedom to choose, so no surprise that it should throw up a Berlin Wall to keep those people captive. Doubtless, it will soon be leaving sick people to get well on their own or just drop dead.